Includes more than 180,000 entries and definitions. Includes pronunciations, parts of speech, syllabification, inflected forms, and derivatives. Usage Notes that give helpful information on correct English. Hundreds of Word Histories that provide fascinating background on the lives of words. More than 300 carefully chosen illustrations; and a handy Ready Reference section. 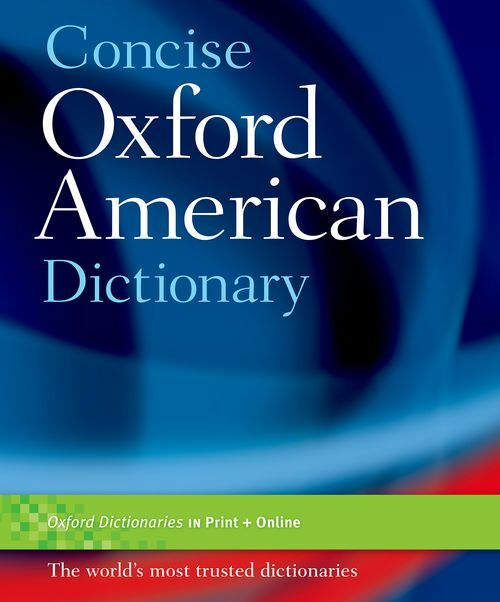 Based on the groundbreaking flagship dictionary of Oxford's US Dictionaries program, the New Oxford American Dictionary, this concise edition includes more than 180,000 entries and definitions, complete with pronunciations, parts of speech, syllabification, inflected forms, and derivatives. All Oxford American dictionaries use an easy-to-use respelling system to show how entries are pronounced. It uses simple, familiar markings to represent common American English sounds. The Concise Oxford American Dictionary is a convenient and complete dictionary for school, work, and home. The dictionary includes Usage Notes that give helpful information on correct English; hundreds of Word Histories that provide fascinating background on the lives of words; more than 300 carefully chosen illustrations; and a handy Ready Reference section with information about weights and measures, chemical elements, U.S. states and presidents, punctuation, frequently misspelled words, and much more.